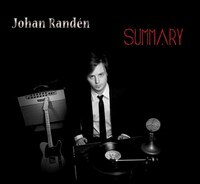 Much to the anticipation of guitar aficionados around the world, on May 4, 2012, one of Sweden’s youngest and most talented guitarists, Johan Randén, releases his third solo-album ‘Summary’ on Reingold Records, home to prog superstars the Flower Kings. ‘Summary’ is a musical journey that takes us through guitar picking à la Steve Morse in the country influenced track “Country Maniac”,to beautiful bluesy and tasty woodwork à la Jeff Beck in “Floating Around”. On this record Johan proves that he´s not only a guitarist but also a great songwriter and producer, with the guitar always in focus. Bengan Andersson, Sven Lindvall, Staffan Astner form the backbone of ”Summary”. His first solo album ‘Lead Guitar’, released in 2002 when Johan was only 14 years old, was written and produced by Mattias IA Eklundh from Freak Kitchen. It soon led to Johan’s second release ‘Version 2.0’ in 2005, this time with Johan as co-writer together with producer Christian Alsing. ‘Leadguitar’ was a succes in Asia and Japan and with his second album, he toured in Japan together with Freak Kitchen were he also recorded a guitar DVD for ‘Young Guitar’, the biggest guitar magazine in Japan. Johanhas been endorsed by both Yamaha and Elexir Strings and currently he is endorsed by Fender Guitars. This entry was posted in 2012, New Album. Bookmark the permalink.